If anyone was wondering, we have made it! Yes, we got up at 5:00 in the morning for a reason. We have made it to Antartica. I am now writing this from McMurdo station on the Antarctic continent. The plane. A C-17 usually used to transport cargo and some people on the side, had been equipped with extra chairs to accomodate all the passengers that had been boomeranged from the days before, so we had a full house. For those of you that have never been on a military plane: They are noisy. Because military apparently do not need sound proofing and if you are off to being a paratrooper, you are probably concerned with other things while in the plane -- like, will my parachute open for example. On top of that you will grab a lunch bag while getting on the plane and get water from a big crate in the corner. Also, there are only four little windows on the sides that there is no way of telling, when you are sitting, if the plane is already on its way. In any case, the missing plastic from the inside gives it the feeling of the space station (the space station probably also is just in military tradition, come to think of it ...) and you still get to visit the cockpit and get to say hi to the pilots. Unfortunately, we were just in a cloud layer, so nothing to see. Apart from the fact that the cockpit is sound-proof so a much quieter place to hang out. 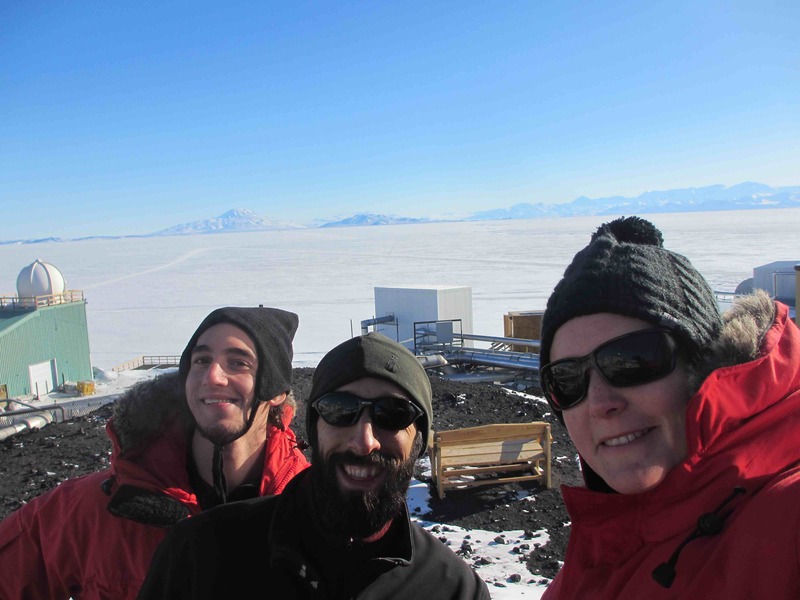 Five and a half-hour later, we landed in McMurdo. Well, on their airstrip. The firefighters told us later that our landing almost had to be postponed because one of the little cute Adelie penguins had decided to hang out on the runway. And according to the Antarctic treaty, harassing wildlife is a federal offence, so the fight penguin vs C-17 would have been one by the penguin. Thankfully, it decided to go away after all, so we got to land. Unfortunately, we therefore also did not get to see our first penguin. 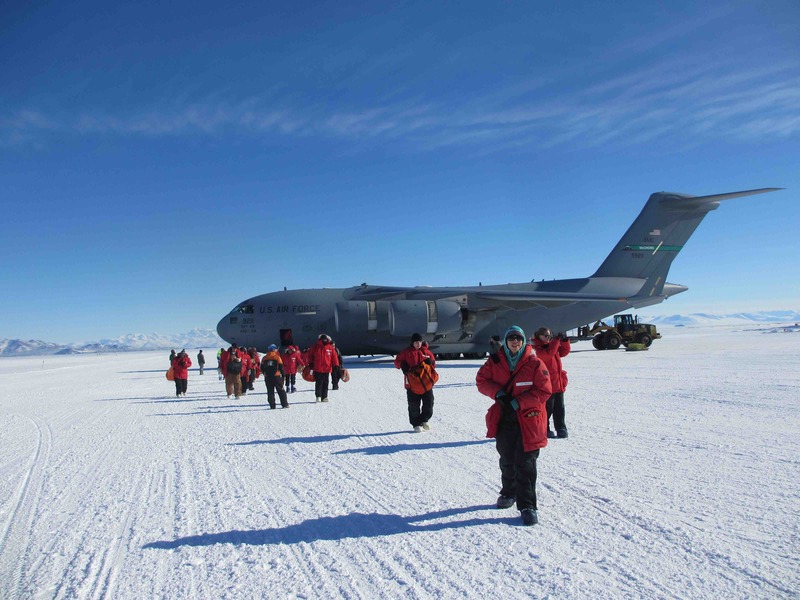 After landing and having a look at beautiful sunny (and cold) Antarctica, our schedule started. We went from briefing to briefing, from linen pick-up to computer screening, from cargo pick-up to baggage pick-up and not to be forgotten about: from training to training. We are not done yet, but we are trained enough now, to work in an office. We are still looking forward to the Antarctic version of survival training and a long list of additional meetings. On the bright side, everyone is very happy to help you with everything and all our stuff arrived safely. No missing crates and only of big box has been opened by our friends at the security in the US. It actually was the one with the station electronics, so I suggest that we start our outreach efforts with the TSA the next time. They are probably interested to read what it actually is, after they have already figured out that it is not dangerous. Of course, there are also a couple of minutes between briefings, which we have used yesterday to say "Hi" to the Kiwis, the neighbours from New Zealand. Scott Base is just around the corner. According to Corey, one of the bars with the best view on Earth. What do you think? Science is going to be intersting this season. 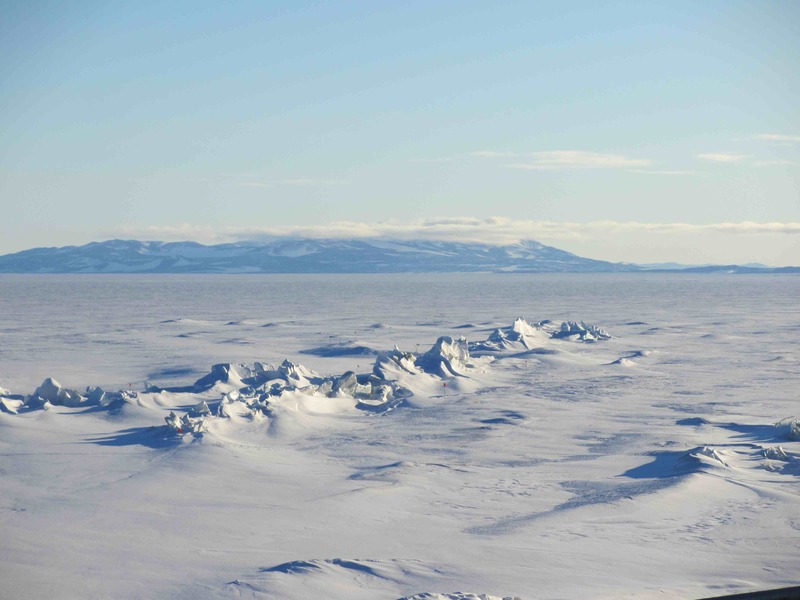 We have just learned that a team will be surveying the Ross Ice-Shelf by plane this season. This probably will create a number of disturbances for us (radio interference), but maybe, we can also use their planes to calibrate our array. We will be "liaison-ing" about this later. Why not turn the disturbances into something useful? In general, it is very exciting to meet all the scientists around here. Apart form the fact that we are all doing something with Antartica, there is really not that much in common. We are sharing the corridor with geologists, glaciologists, biologists, chemists, and many more. Let's see what I will be able to find out about their research in the coming weeks. The people from Bicep 3 (you all remember Bicep 2 from the gravitational waves, right? 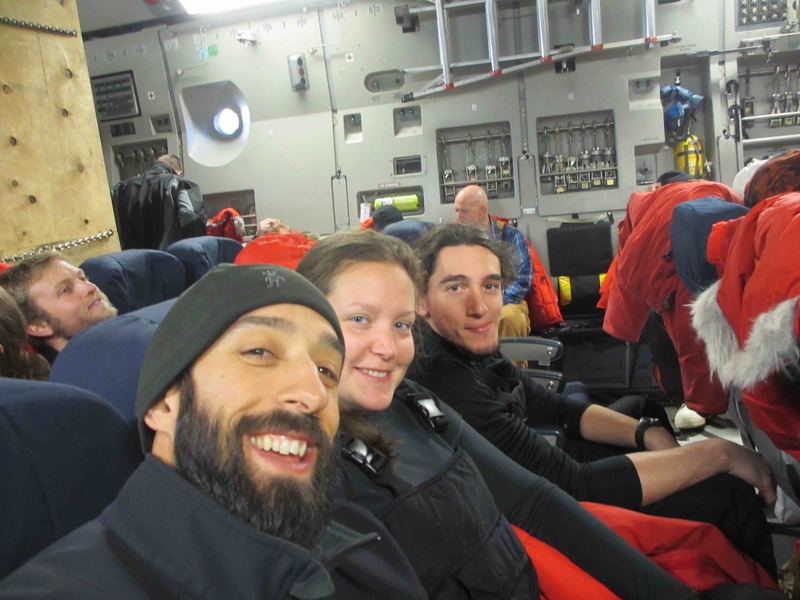 http://bicepkeck.org) that we meet on the plane are on their way to South Pole now already in any case. They went our before the weather got worse ... so probably less sunny picture in the next blog.